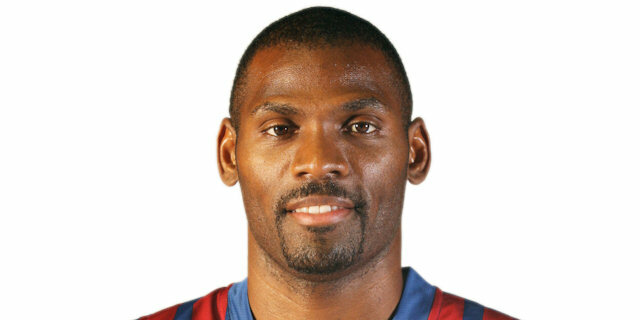 Regal FC Barcelona is a step closer to its ultimate dream after topping CSKA Moscow 64-54 on Friday evening in the first semifinal of the 2010 Euroleague Basketball Final Four at the Palais Omnisports de Paris-Bercy in the French capital. Barcelona avenged defeat against the same CSKA team from last season’s semifinals thanks to a strong showing from star playmaker Ricky Rubio, who scored 10 points and tied a Final Four record with 8 assists. It was a tough battle that went the way CSKA wanted, slow and physical, but a 10-0 second-quarter run gave Barcelona the lead for good and head coach Xavi Pascual’s men made it hold up in what was the lowest scoring Final Four game of the decade. Rubio’s 8 assists match the record for most in a Final Four game that did not go to overtime. Barcelona advances to face the winner of the second semifinal between Olympiacos Piraeus and Partizan Belgrade in the Euroleague title game on Sunday night. 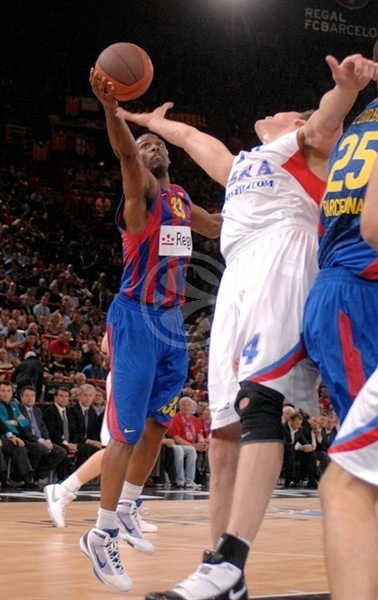 Barcelona, whose 11 Final Four appearances is a Euroleague record, is gunning for its second title. 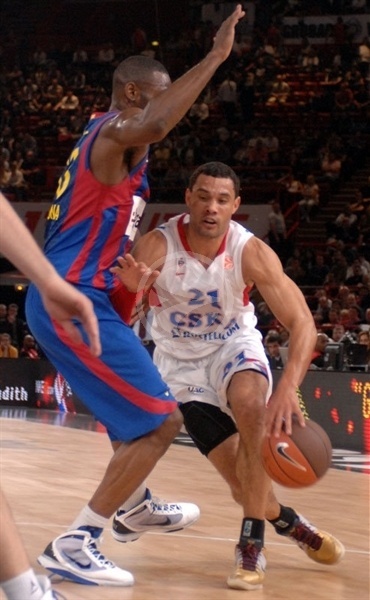 Fran Vazquez led all Barcelona scorers with 11 points, while Juan Carlos Navarro added 10 and Erazem Lorbek posted 7 points and 9 rebounds against his former team .CSKA, whose eight consecutive Final Four appearances is also a Euroleague record, will not play for the title for the first time since 2005. 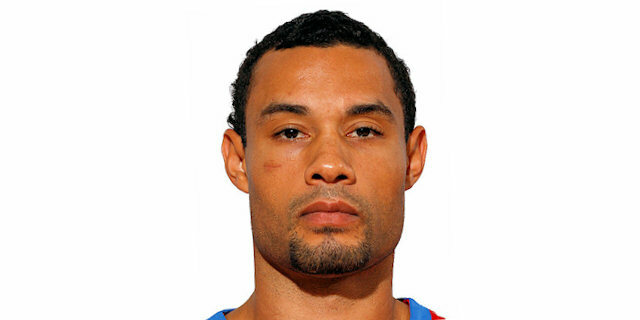 Ramunas Siskauskas led the way for the Russian champs with 19 points, Trajan Langdon added 12 and Sasha Kaun was good for 9 points and 10 rebounds. 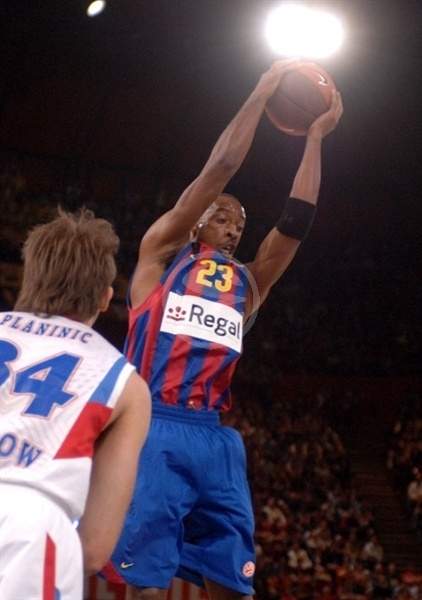 Barcelona controlled the opening tip and scored first a minute later after Pete Mickeal drew a foul from Siskauskas and sank 2 free throws. Kaun attacked the glass for CSKA’s first basket and after the team kept the ball alive on the offensive glass, Siskauskas sank a floater to give CSKA its first lead. Viktor Khryapa added an open triple to the delight of the Moscow faithful before Langdon followed with a long jumper as the scoreboard flashed 2-9 midway through the opening period. 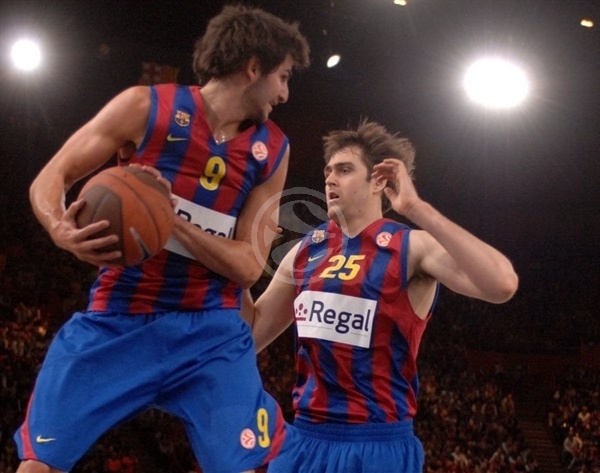 Barcelona, needing to increase its rebounding presence, brought in Fran Vazquez for Lorbek. Mickeal took a feed from Rubio on an inbounds play for a layup. Rubio then stripped Siskauskas, but the steal did not result in a basket. Tough times continued for the Barcelona attack, while Kaun threw down a two-handed jam for a 4-11 score. Mickeal drew a second foul from Siskauskas and Khryapa on successive possessions and made the resulting foul shots to cut the gap to 3. Rubio became the first Barca player other than Mickeal to score when he made a pair of free throws with 1:52 left in the quarter. Rubio then showed off his stuff be exploding through the CSKA defense and dishing to Vazquez for a jam that put their team back on top. Mickeal missed a scoop shot and J.R. Holden was short from midcourt to leave the 10-minute score at 12-11. Matjaz Smodis’s jumper got stuck between the rim and the backboard on the opening play of the second quarter. 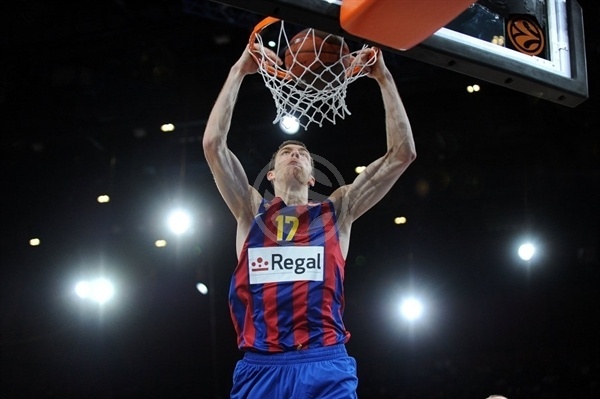 Jaka Lakovic responded from downtown to cap an 11-0 Barca burst. Langdon sank 2 from the line and Pops Mensah-Bonsu ignited the CSKA fans with a steal. Holden stormed the Barca defense to knot the game at 15-15. Kaun’s hook cancelled out a Vazquez jumper as the game evened up. After a short rest, Khryapa came in, committed his third foul, and came out, with Pasutin turning to young Andrey Vorontsevich in his place. Siskauskas gave CSKA the edge with a turn-around jumper. Veteran Roger Grimau came off the bench for Barcelona for a layup and Boni Ndong made it 20-19 from the line. Navarro helped his team regain the momentum with a three-pointer and then by drawing an offensive foul from Holden. The pace started to get more frantic – to Barcelona’s liking – and Ndong shined with 2 more free throws and a jumper for a 10-0 run. Holden fed Kaun for another slam, however Ndong remained hot and Holden missed a floater at the buzzer as Barca took a 29-21 lead to the locker room at halftime. Siskauskas banked in a jumper to open the second half only to see Lorbek match him at the other end. Holden struck from downtown and after Vazquez tipped in a Rubio miss, Langdon sniped a triple to bring CSKA within 4. Navarro came right back with a triple as neither team would wilt. Siskauskas scored inside, but Rubio bettered him with a three. Navarro put Barcelona up by 8 and the team had a chance to add to it, but Rubio could not control the ball in transition and Siskauskas nailed a three to make it 41-36. Rubio stretched himself through the lane and spun in a shot before the TV timeout stopped play. Holden zipped through the Barcelona defense for a layup, but Rubio found Grimau for a basket. Langdon drilled a three only to see Rubio send a perfect lob for a Ndong tip-in and a 47-41 Barcelona lead heading into the fourth quarter. Terence Morris scored his first basket on the offensive glass at one end and soared a rebound at the other, but a Rubio turnover and missed three kept Barcelona from adding to the lead. Siskauskas sank a shot that hit every part of the rim before bouncing in – and the resulting free throw. Kaun made a statement by rejecting Ndong and Khryapa stripped Mickeal on a play that led to an Anton Ponkrashov layup, bringing CSKA within 49-46 – the closest score since halftime – with five-and-a-half minutes remaining. Navarro set up Lorbek for a layup inside and after Khryapa scored too, Navarro sank a floater as he fell to the ground to keep his team going. Siskauskas rose to the challenge with a long jumper. 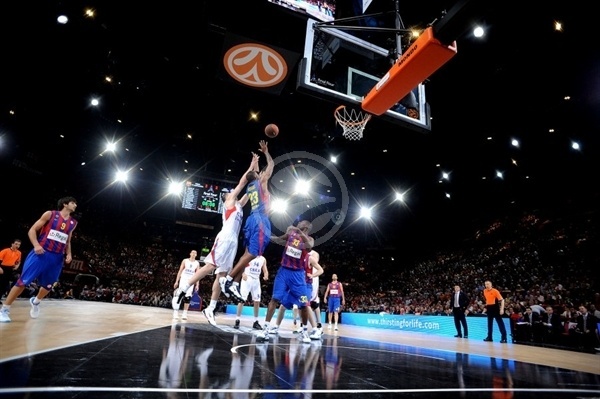 A Rubio-to-Vazquez alley-oop for a slam brought the Barcelona fans to their feet and lifted the lead to 56-50. Vazquez was whistled for an unsportsmanlike foul when trying to stop Kaun. However the CSKA center made just 1 free throw and Khryapa missed a jumper as time began to tick away. 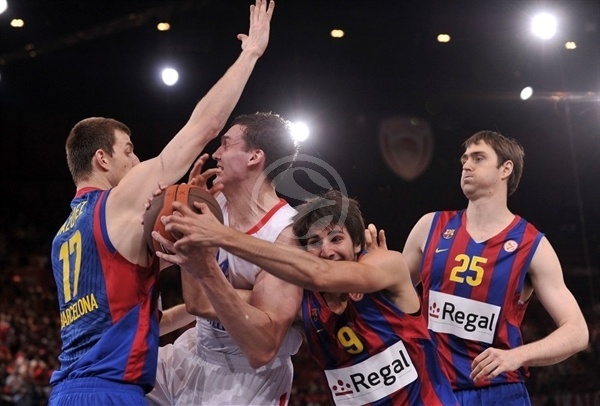 Rubio passed to Lorbek for a triple that put Barcelona up 8 with 74 seconds to play. Rubio practically iced the game with a big three pointer, giving Barcelona its biggest lead of the night, 62-51, but Siskauskas matched him with 33.2 second left. However a Vazquez slam on the offensive glass wrapped up a tough win as Barcelona celebrated a ticket to the final. "We are proud of this new step and to make it to the final of this Final Four in Paris. This semifinal game took a lot out of us, in terms of playing offense, and we based our work on defense. I thought we had good first minutes on defense, but on offense we couldn't get our rhythm. At that moment, we found Pete Mickeal and he helped keep us in the game until, little by little, we started going up. It was a dramatic few minutes there, playing point for point, defense against defense, but we were getting more comfortable before halftime. After that, in the third quarter, CSKA came out playing and reacting well. We were not as good as before on defense then. It seemed that CSKA was working on its bench and they came up with some good baskets. By the last quarter, though, we had regained control and I think were able to manage our lead well down the stretch. "I think we had a big problem tonight despite the fact that we played defense very well, and that is that we were unable early to control the rebounding. Not having control of our defensive rebounds especially, we didn't get the confidence to run. But we knew that in a Final Four it would be difficult to run. We knew that it would be difficult and that we had to adapt to this type of game. 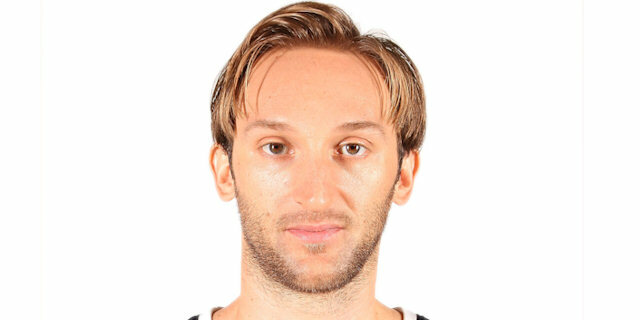 "It's true that Ricky Rubio played well. For me, however, I like him the same whether he is just playing solid basketball like tonight or if he's making spectacular passes. But it has to be said he was very solid in playing in his first game of this type at the Final Four. "Since you can't choose which team you will play against in the final, I prefer not to say anything, because my words won't change anything. The team that deserves to win will be there. Both Partizan and Olympiacos deserve to be here after a great season. They have different styles, but both are great teams." "We played fine. We showed heart and until the end it was a close score, a tight game. Our plan was to slow down Barcelona, and I see by their 64 points that we were able to do this. Defensively, we were good. Our weakness was on offense. We mostly play a rotation of six, seven players. Today, Barcelona got the advantage and began to rotate players and we fell down little by little physically. 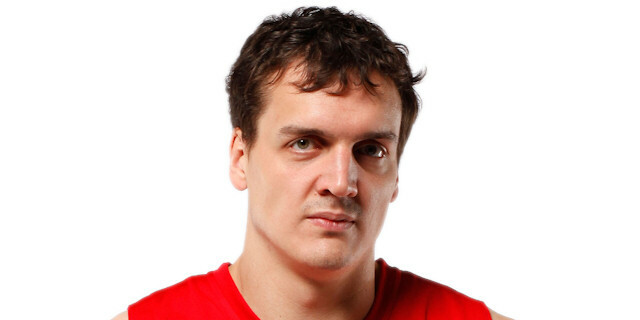 Especially Sasha Kaun was tired until the end of the game, but our main guys went down physically. Even so, were were still in it, but we weren't able to score much under the basket. Now, it is important for us to play for the third position and we will do so with emotion on Sunday." "We have played a great game. We knew it would be difficult to beat CSKA but managed to get a good lead early in the game and stay ahead until the end of it. Our defense was great and that allowed us to be ahead throughout the second half and make it to the final. Our fans were great as usual tonight, helping is a lot when CSKA got closer in the fourth quarter. We have to rest a bit, prepare the final and be ready to play on Sunday." "Defense was the key to this win, as well as managing to stop their best players in the fourth quarter. This is a Euroleague semifinal and everybody was ready to play from the beginning, but it took us a bit to find our game, which we did in the second quarter. Our great defense was definitely the key to beat CSKA. This is my first Euroleague final so it is an unforgottable moment already - but we still have one more game left and we must win it if we want to have great memories from Paris. This win is for our fans, everybody made a great effort to be here. We will now try to give them what they are looking for on Sunday." "It has been a tough game, just as we expected it to be. We didn't have a good start but managed to play good defense and get the lead at halftime. I think that all-around, we played a very good game in defense. We improved our offense right when it mattered, in the second half. We managed to stop their main players to avoid what happened in Berlin last season and managed to do so. We have to be happy about this win but there is still one game left to play. Like I said before, you need titles to make people remember about this. I don't have a preference for the final - we have to worry about ourselves and play a good game on Sunday." "They have good scorers and we knew that coming into this game. We had references from last season's game of what not to do and avoided making the same mistakes again. The game followed more or less the same script as our two previous Final Four games against CSKA, but we prepared well and had positive actions right when it mattered. I haven't thought about lifting the Euroleague trophy yet, not at all. It is difficult to get into a game like this in the Final Four. We managed to get the lead in the second quarter and keep it for the entire game." “Tough game against a great team. We prepared real well so we were ready for them. It was a 40-minute game. That’s our game. We ran till we couldn’t. They have the guys that keep getting voted to the All-Euroleague team. 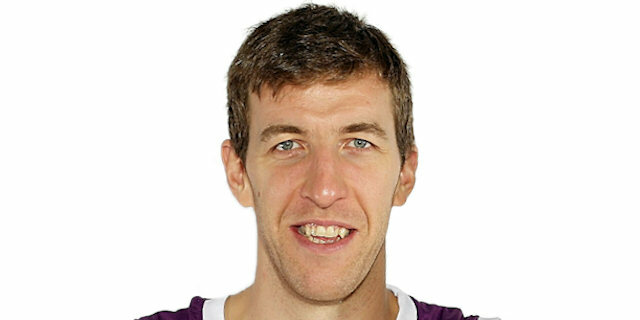 I wanted to show the fans who the real All-Euroleague is. "Our offense wasn't at its best today but we did play great on defense and that's what kept us in the game. We're proud of the way we played here, and that we were strong in the game all the way to the last minute. They took some offensive rebounds and we missed some open shots down the stretch and that could have won the game for us. It was very tiring, because they have a very long bench and our rotation is much shorter. When Viktor Khryapa got in foul trouble it gave us a big headache, because he's a very important player for our team with his defense, rebound and blocks. Smodis just came back from an injury and when Khryapa couldn't play as aggressive as normal because of his fouls it hurt us." "We had some very good things going in the game, and some things we could have done better. Our defense was very good and we forced them to take difficult shots, but on the other side of the court we didn't play as good as we can. We missed some shots that we should have made, but that's part of the game. We came here to win, and didn't fear to play against Barcelona and I think everyone saw that. We're disappointed not to be in the final, but we had a great run this season after all." 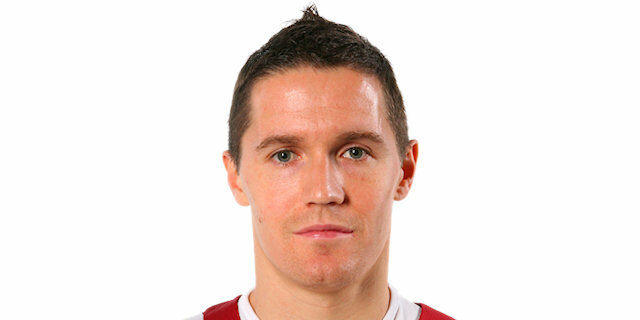 "It was very difficult to play against the front line of Barcelona. They have so many big guys and every time someone else comes off the bench fresh. I'm not in full shape as I had some injuries lately, so it made it even more difficult. We played great defense and kept Barcelona on 64 points, which I don't think many teams managed to do this year, and it says a lot. 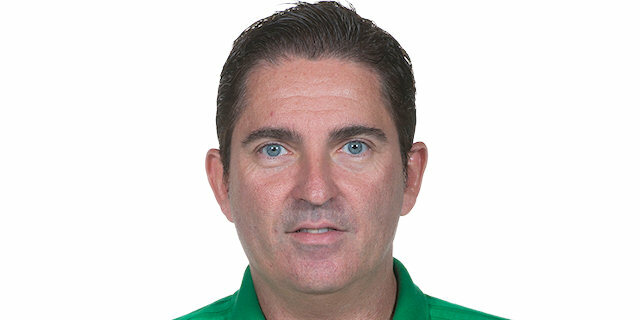 We wanted to keep the score low and not allow them to take off, and we managed to execute our plan but then we missed some open shots that could have changed everything." "We played very good on defense, but not that good on offense, and if we had things could have been different. We got them where we wanted, because our plan was to stay not too far behind them and try to take over the game, but they pulled some offensive rebounds and made important shots down the stretch and eventually that's what won the game for them. Not many people gave us a lot of chance to win this game, but we proved we can play against Barcelona and be in a position to win, and it was very important for us."